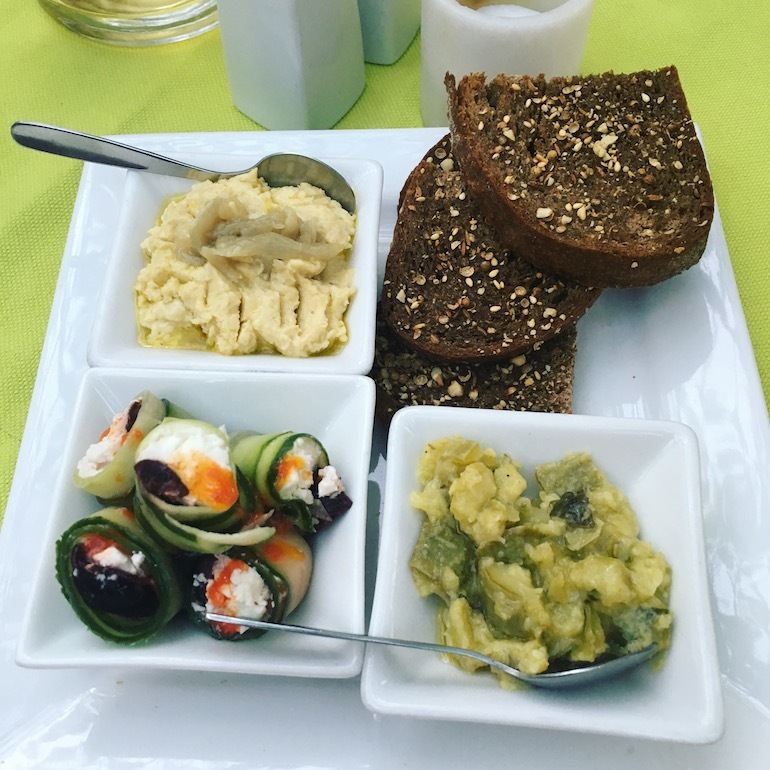 No, hummus and falafel are not Greek. Yes, their real cuisine is even better. When most Americans picture the food of Greece, they probably think of baklava, gyros, or the dinner scene from My Big Fat Greek Wedding. Before I arrived in Greece, I was similarly ignorant. 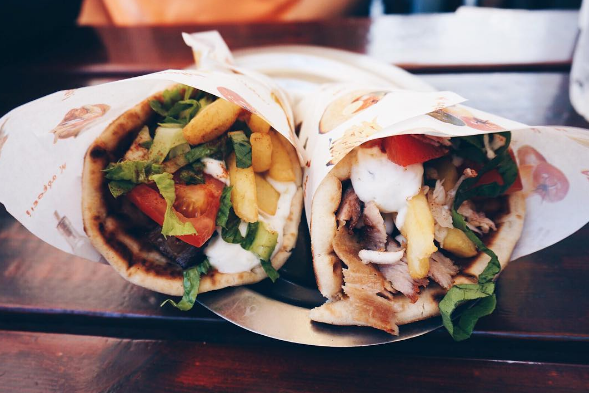 After a month in the Mediterranean, however, I now understand the rich variety of foods that Greece has to offer. At dinner, in the buzzing tavernas, families gather for meals that last all night. Their version of a night on the town is a night around the table, which is my kind of evening. Read up on some of the foods featured at both these all-night-long affairs, and throughout the rest of the day. This goes without saying. Durable olive groves pepper the dry Peloponnesian countryside, producing some of the best oil in the world. Expect most of your plates to be doused in it. Not a frappuccino, but better for you, and better tasting. Frappés are instant coffee blended with milk and water (and sugar, if you please) until a happy, caramel-colored foam bubbles over the top. They’re popular for breakfast, but appropriate all day long. 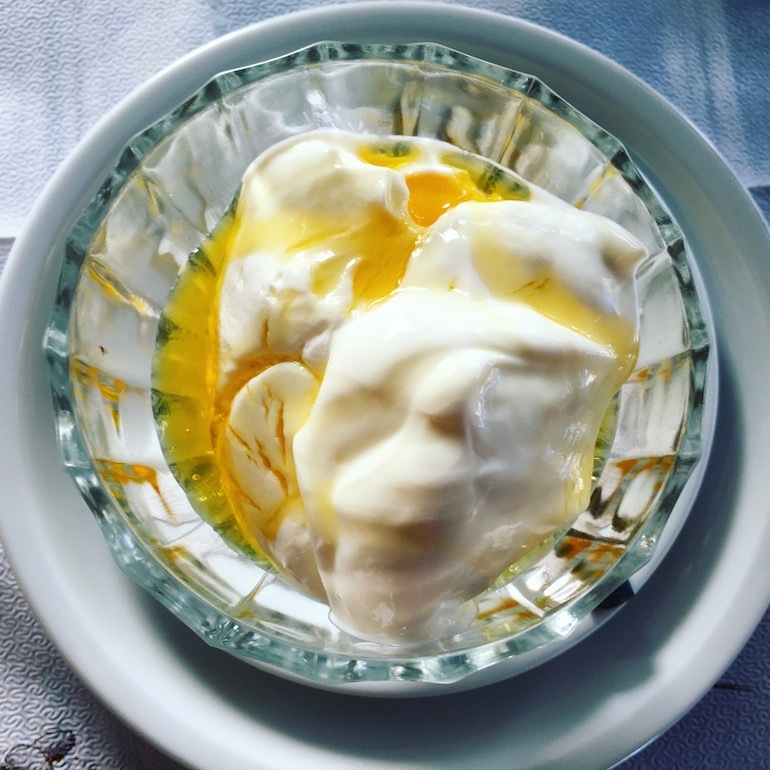 It can be found in many forms: topped with honey for breakfast, mixed with garlic and lemon to make tzatziki dip, the list goes on. Unfortunately, I’m ruined forever because no yogurt that I’ve tasted in America is as good as what they have in the Mediterranean, usually because it comes from the farm one town over. 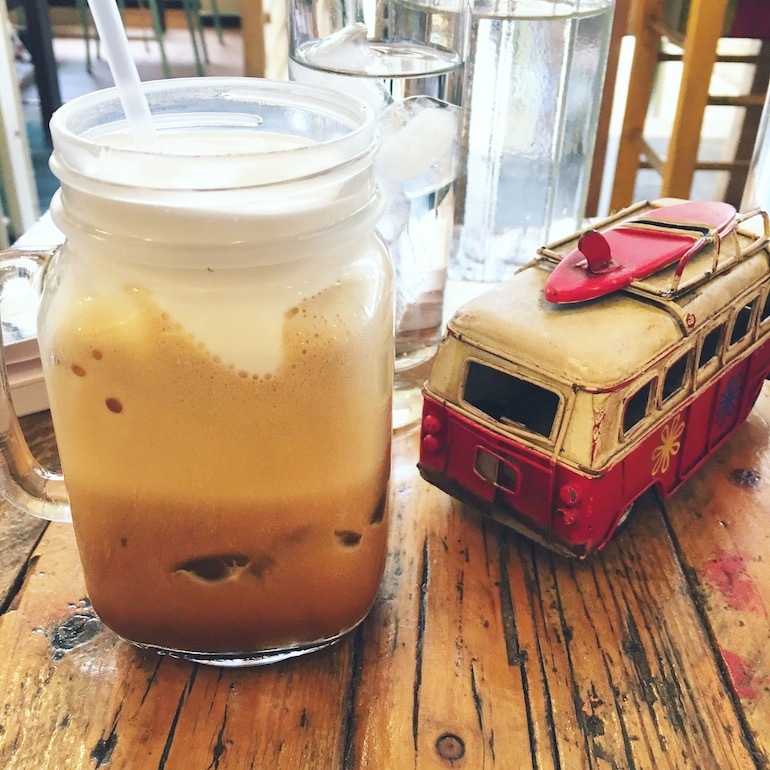 Along with your frappé, pick up one of the many pastries served at Greek bakeries and cafes. 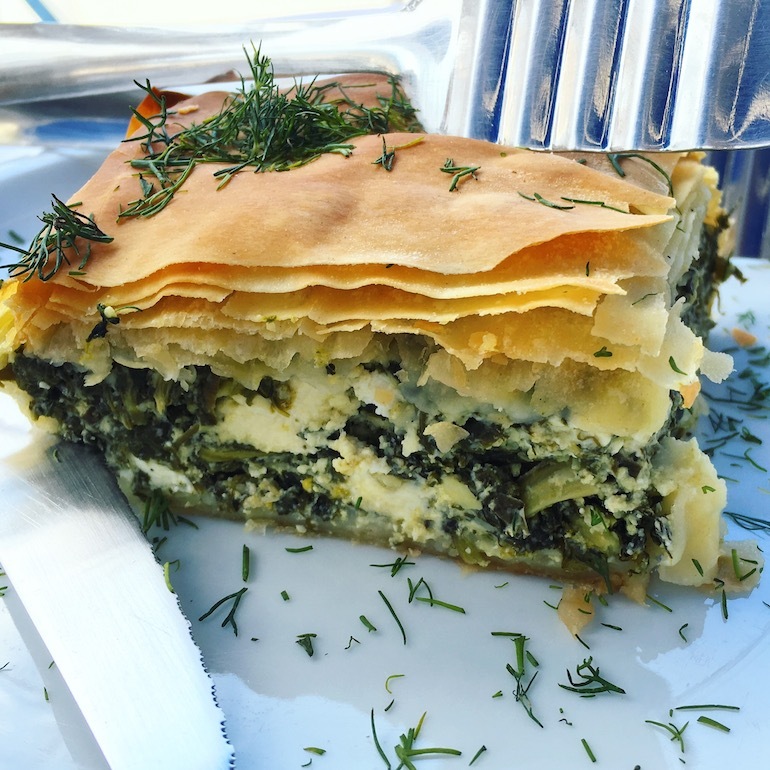 Common fillings include cheese, sausage, hazelnut, chocolate, or spinach and cheese, such as the spanakopita above. 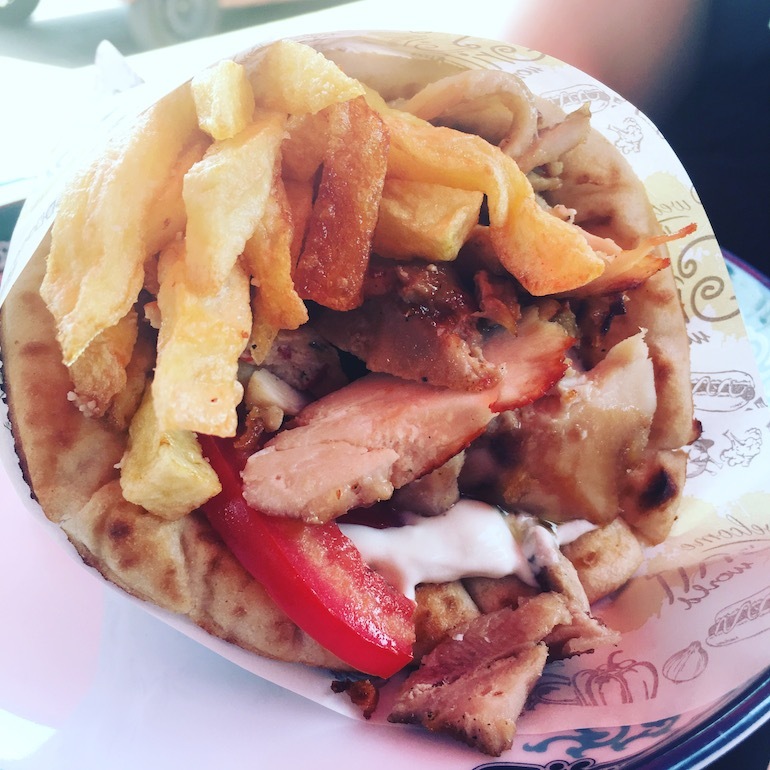 The Greek version of fast food costs just over 1 euro and comes stuffed with tzatziki, slow-roasted shaved meat, tomatoes, lettuce, and french fries. The biggest difference from McDonald’s? Everything is freshly prepared. When Americans picture “Greek salad,” it usually involves sliced cucumber, onion, tomato, and olives in a light olive oil dressing. 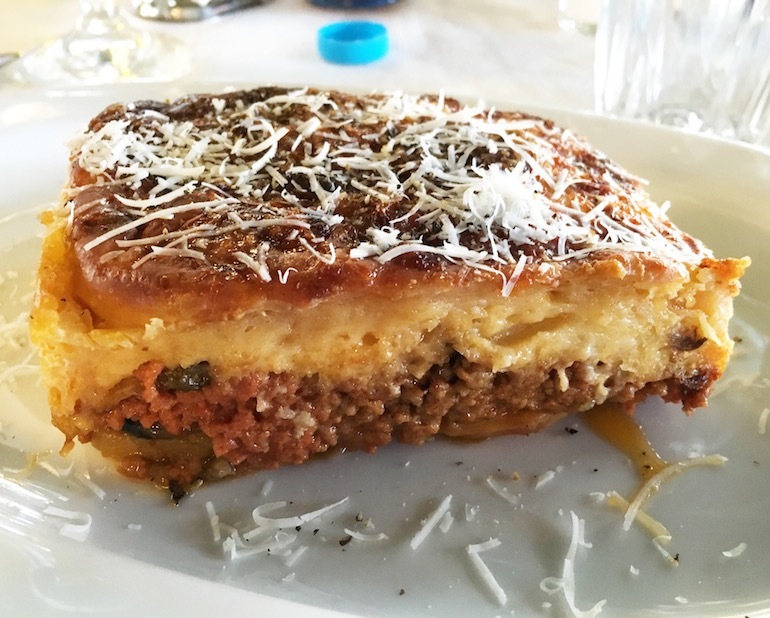 In Greece, this classic dish is called horiatiki and contains no lettuce (unlike many versions in the States). It’s not the only common salad, however. Many other versions use “rocket,” the green base seen above. Most menus will list them as their literal translation, “fried potatoes.” They’re extremely common all over Europe, and yes, they usually do taste better than their fast-food counterpart in the US. The power of fresh ingredients, baby. 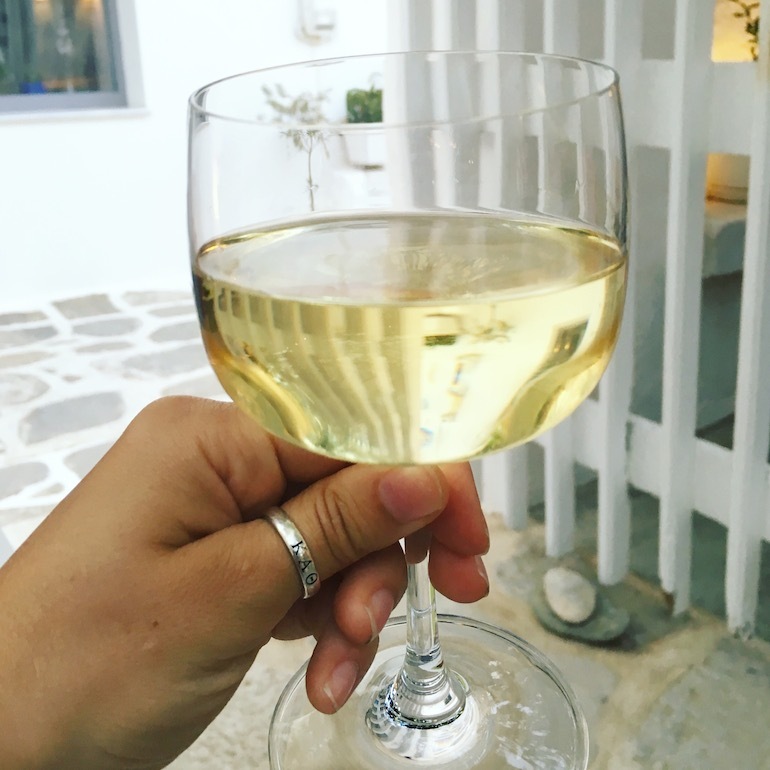 Here’s the real secret to group dining in the tavernas: house wine. If you play it right and avoid the expensive/touristy areas, you can get a kilo of wine for around €7. A kilo, people. God bless this country. 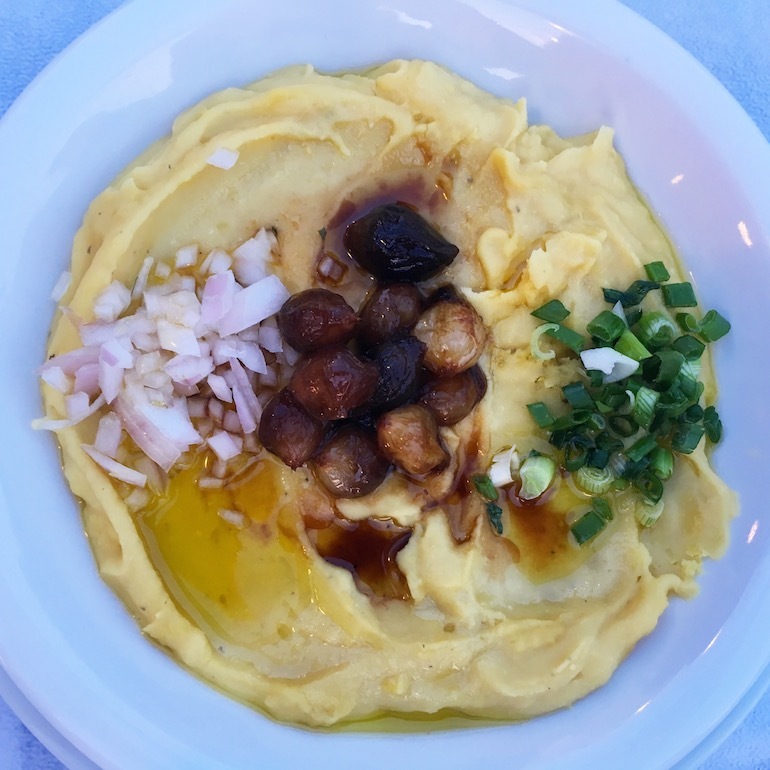 Contrary to popular belief, hummus is not a Greek food, though you will find it at various restaurants. There are strong Middle-Eastern influences in their cuisine, however. The closest equivalent would be fava, an amazing dip made of pureéd split peas, usually containing other goodies to mix in. You won’t find supermarket-quality bread at any authentic Greek taverna. The bread will come from a local bakery, usually baked just that morning. 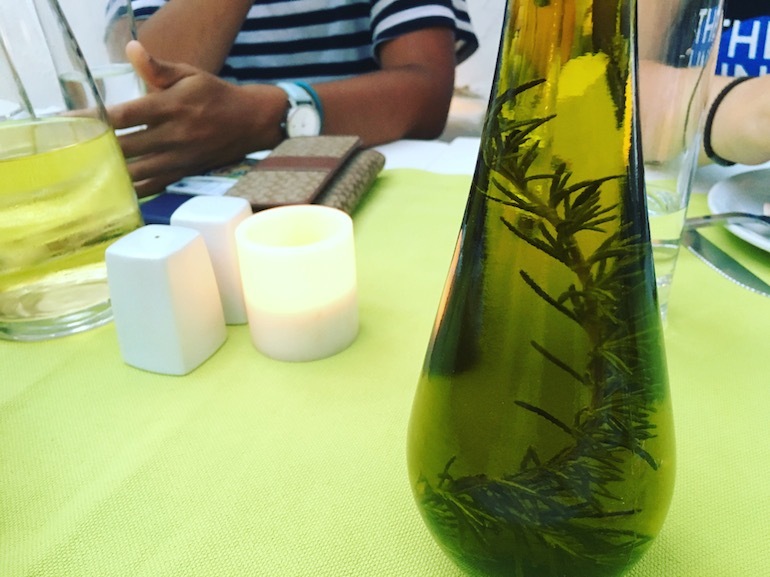 Most tables have olive oil for dipping, but bread will be used throughout the meal. Modern Greek even has a specific word that refers to the process of using bread to mop up other dish’s leftover juices. BOO! This picture is a joke (check out those chompers! ), but the preparation is genuine. 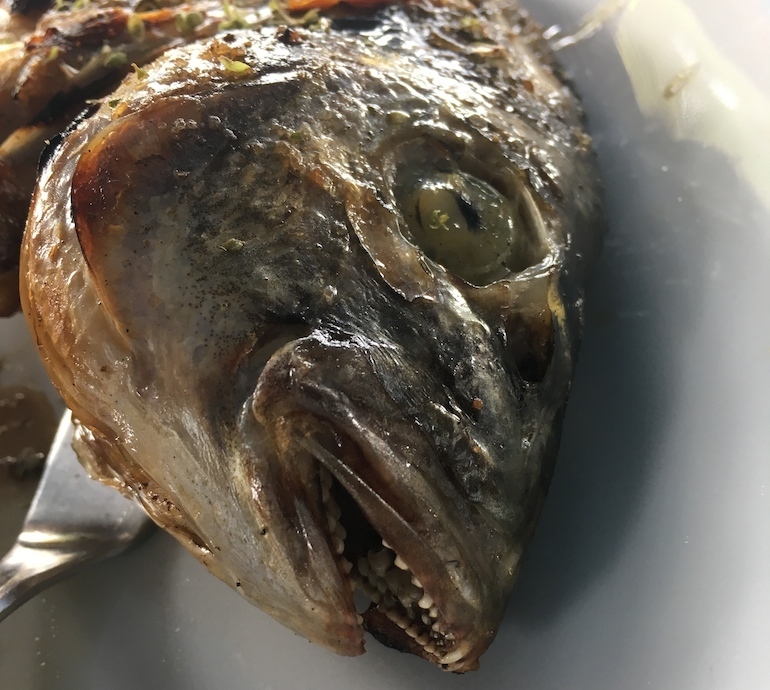 Serving fish whole is an authentic and delicious method used throughout Greece. 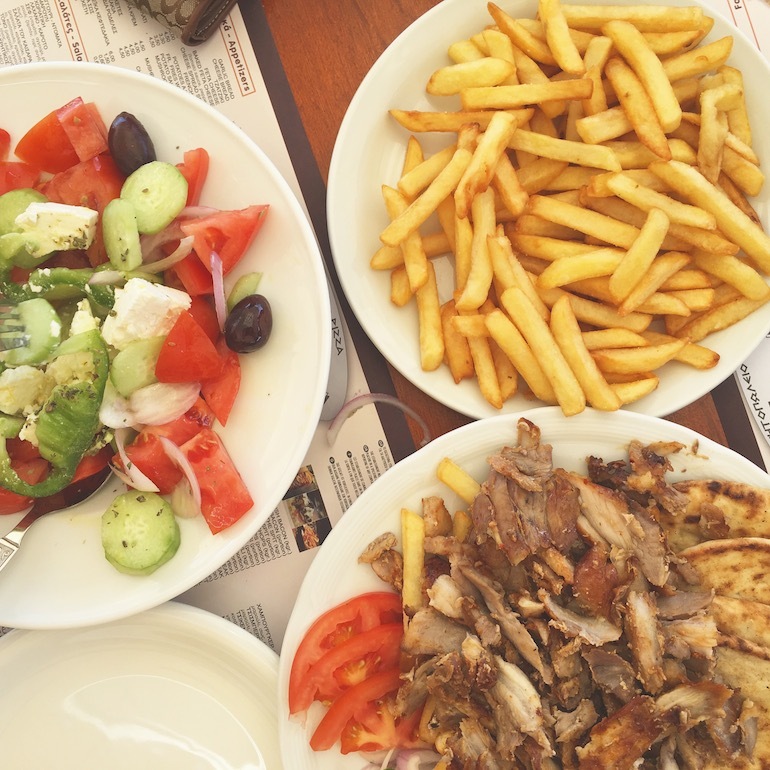 In the seaside village or on one of the many islands, taverna owners grill them fresh on the street outside of their restaurant to entice customers. It works. 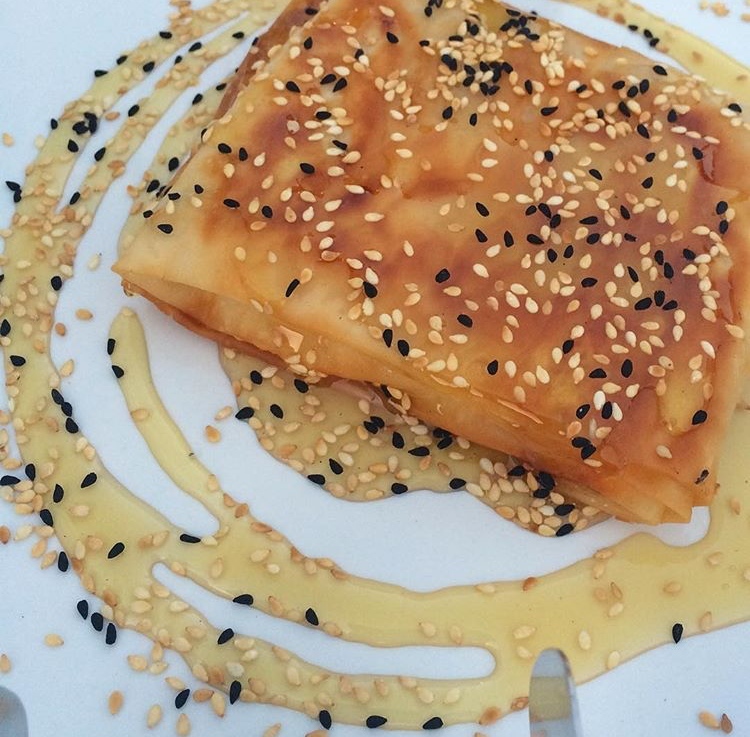 Baked feta wrapped in phyllo dough and topped with honey/sesame seeds – just one version of the dozens of different kinds of baked cheeses you’ll find on taverna menus. Along with gyros, these grilled meat sticks form the backbone of Greek fast food. 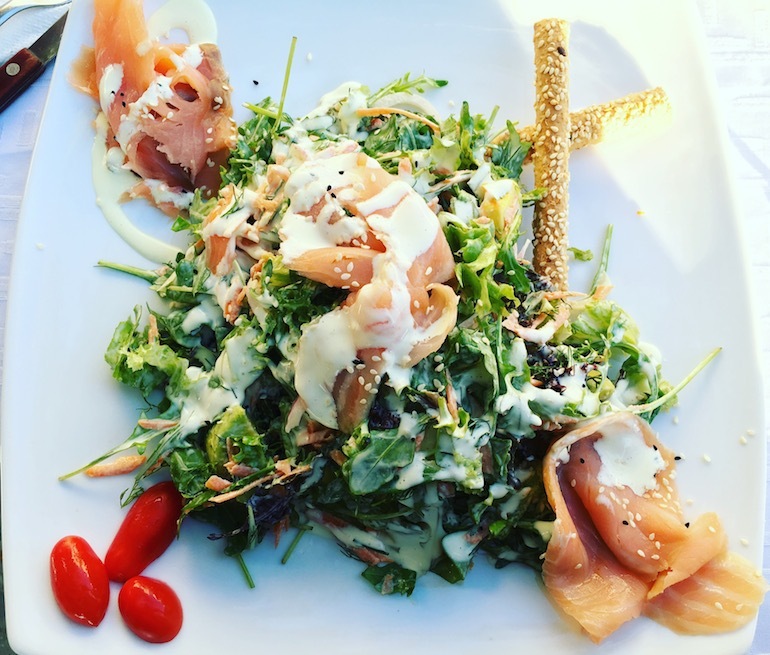 You will also find them on dinner menus at tavernas, usually served with the omnipresent tzatziki dip, vegetables, and french fries. Think lasagna, but better. The bottom layer is minced lamb with olive oil and veggies. The top is fluffy cheese and potato. The whole thing is baked to tender perfection. You’re welcome. 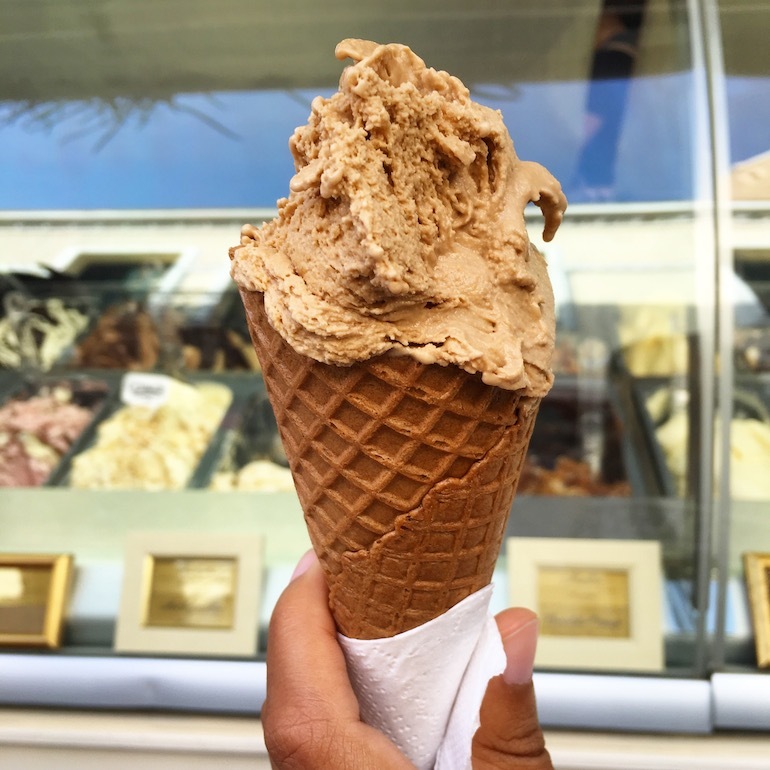 You might wonder: “Gelato, isn’t that Italian?” You wouldn’t be wrong. But Greece, which is just a quick hop from the Land of Pizza and Pasta, adopted their neighbor’s method of making ice cream, and it doesn’t disappoint. Did I mention how fresh their dairy is? 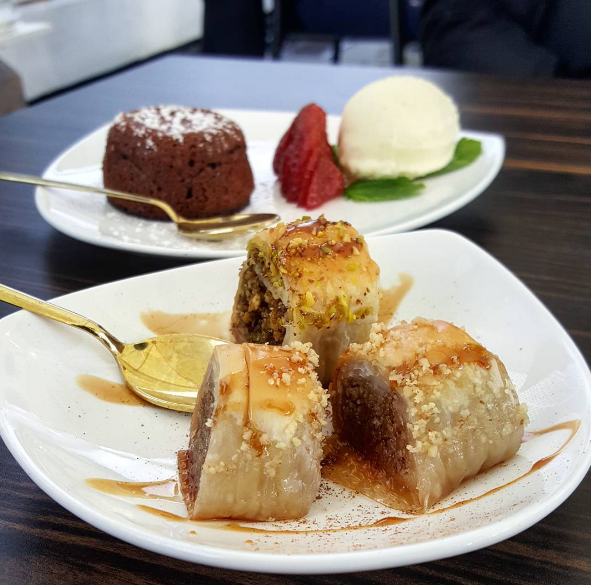 If you aren’t a fan of gelato (and even if you are), baklava is another classic dessert. Flaky layers of phyllo dough are bathed in butter, honey, sugar, and nuts, then baked in the oven. For a wackier version, try kataifi, which uses similar ingredients.